Do you want to keep your fleet safe and your costs under control? Telematics technology gives you the tracking, location and performance data you need to analyse your fleet and pinpoint any potential cost savings. Benefit from a technology platform that integrates leading edge Telematics, with route planning and scheduling software to provide the optimum transport management solution. This powerful combination means you can choose the components you need and tailor them to your specific requirements. Telematics helps you understand, in real- time, where your vehicles are and how they are being used. This allows you to gauge how effectively your fleet is being used and how economically and safely vehicles are being driven, with the analysis of this information supporting you to deliver costs savings and operational improvements. 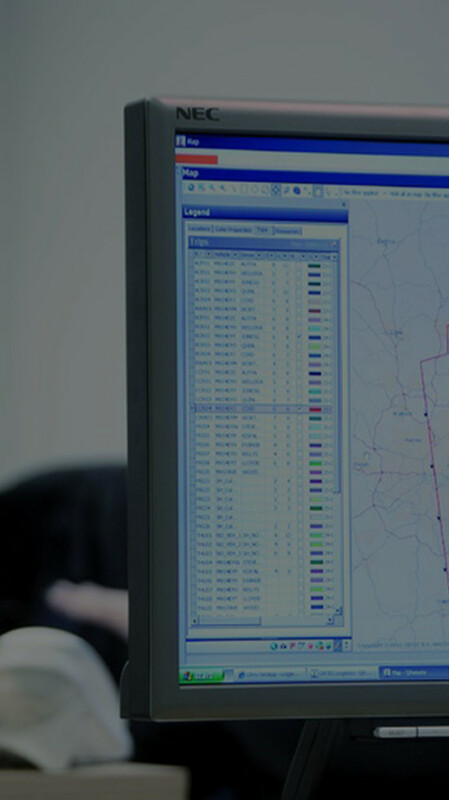 Telematics also allows you to monitor the status of trips against planned schedules, in real-time as the route unfolds. This facilitates the delivery of proactive customer service and improves your future planning. Significant savings in fuel costs and a reduction in environmental impact can be realised within your fleet. Telematics technology monitors driving behaviour such as harsh braking and acceleration, to highlight which drivers need further training and support in good driving practice. Although Microlise is our preferred Telematics partner, we can implement other Telematics solutions to meet your business needs.